These days the use of a signature within an email message is considered standard practice, especially in any corporate environment. Signatures can provide an email user with time-saving possibilities whether you are a home user, small business or corporate user. An email signature is the easiest way to include important information about yourself or your business. It is an ideal way to finish any email with your own sign-off, your business details, a contact phone number, and other information including images and web links. 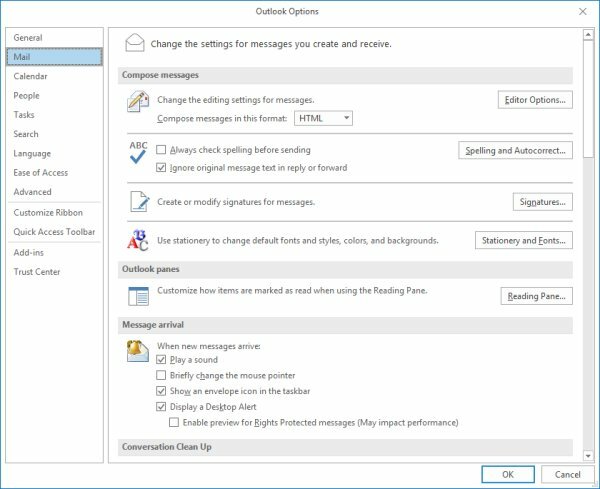 A signature can be created, edited and formatted within Microsoft Outlook. 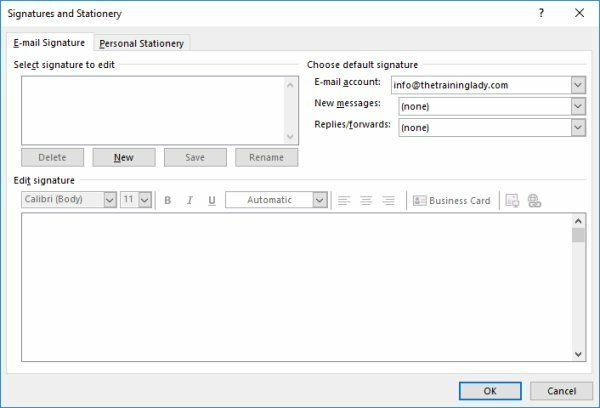 You can have multiple signatures for different purposes, and even a different version to use when replying or forwarding an email. 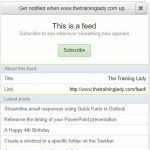 When creating an email signature there are a few things to consider when deciding what to include. Be sure that any information you include is relevant to most people you email. If you are working within a business then the standard information of your name, possibly your job title, your company name, and a contact phone number may be sufficient. I have too often seen people cram so much information into their email signature which ends up making the content seem less important. An email is now an extension of normal business correspondence, so just as a company letterhead should represent your business and your business style guideline, so to should your email signature. Including images can be useful in some instances, however, be mindful that it’s possible that not all recipients will be able to see the image, and it may increase the file size of each of your messages. When deciding what information you will include, go with a “less is more” approach. 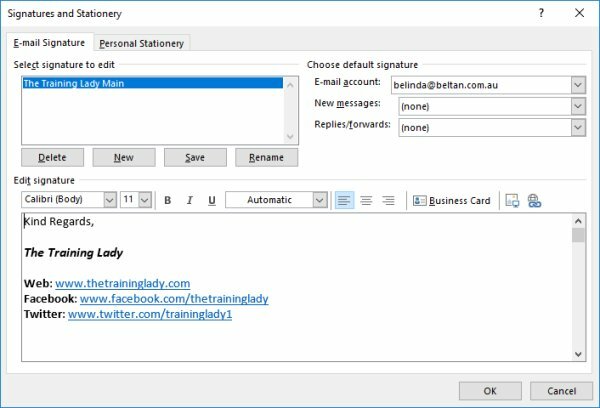 Once you have entered the relevant text, you can now use the formatting tools on the toolbar to format sections of your signature. 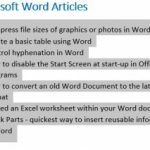 Highlight text and apply any font formatting, and use the bold, italics & underline features to highlight certain information. Be careful not to use too many different font styles or colours within the signature to avoid it looking too busy. You can now create additional signatures to use as a reply or forwarding email signature. Generally, for these versions, I use my normal signature but a cut-down version. Remember when you reply or forward an email, the person knows you and probably knows your details so you can just include a quick sign off and leave out your full contact details. 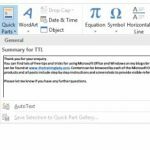 Congratulations on setting up a new signature within Microsoft Outlook. 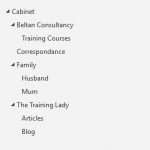 Why not check out my post on how to set up Email Tracking Options in Outlook or look at further ways you can customise Outlook such as how to Customise the Quick Access Toolbar.